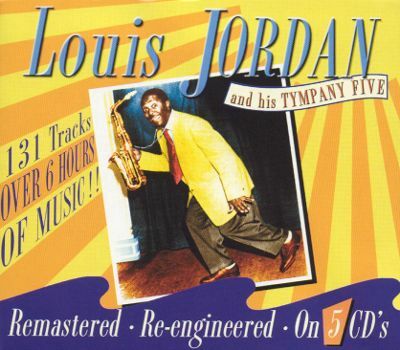 This magnificent five-CD set from the British label JSP has all of Louis Jordan's studio recordings (not counting radio transcriptions, V-Discs, and rarities unearthed by the Bear Family label) from his first date as a leader in 1938 through the end of 1950. 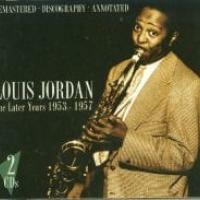 Jordan would continue recording regularly for the Decca label into 1953, but all of his hits are on this set plus a variety of lesser-known but superior material. In other words, get this set and one really has the very best of Jordan. 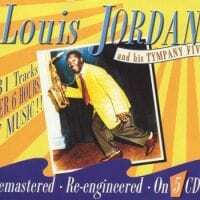 A fine altoist who was a personable singer, a subtle comedian, and a winning personality, Jordan pioneered the move of jazz from big-band swing to small-group jump music and early R&B. Once he caught on with the 40th song on this set ("Knock Me a Kiss"), Jordan had hit after hit including many songs that are still greatly beloved such as "Five Guys Named Moe," "Choo Choo Ch'Boogie," and "Ain't Nobody Here but Us Chickens." There are many fine solos throughout this set (particularly from Jordan and his trumpeters) and nearly every selection is memorable. While Jordan's recordings have been repackaged and reissued in many ways through the years, this is the most logical way to acquire this timeless and joyful music.